Malachite is loved for its alternating bands and rich forest green to light emerald tones. It's such a striking gemstone and one which is fantastic to use in statement jewellery. 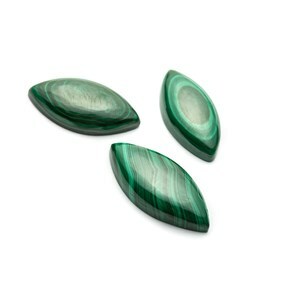 Discover our range of malachite cabochons and beads in a range of shapes and sizes for your jewellery designs. Malachite is a green copper carbonate mineral which derived its name from the Greek word 'malche' which means 'mallow' as the stone is a similar colour to a mallow leaf. It is a very distinctive stone due to its concentric banding and light to dark green colouring. The largest deposits are found in Russia but it is also mined worldwide in Australia, Zimbabwe and Arizona. It measures 3.5-5 on the Mohs hardness scale. Malachite is a great choice for your jewellery designs as it has such a brilliant bold colour and would look great in statement pendants. 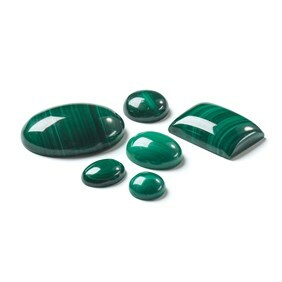 Care needs to be given when using malachite for jewellery making as it is a soft stone. At Kernowcraft, we have a great range of malachite gemstones including malachite cabochons in a range of sizes and shapes including, round, oval, teardrop, rectangle and square. 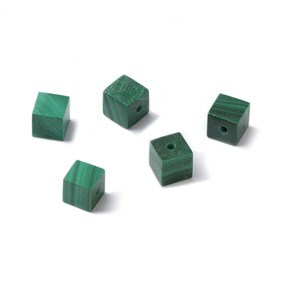 They have stunning alternating bands of rich forest green to lighter emerald tones. 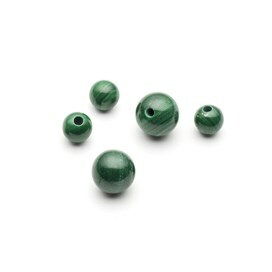 You will also find malachite half drilled beads, malachite round beads and if you're lucky - some limited edition, one-off stones for those special statement pieces. 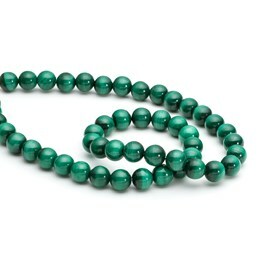 Malachite is said to be a stone of transformation, good fortune and prosperity.